You need to pass your driving test and get your driving licence and there are no driving test cancellations available. You might have just failed your driving test and have booked a driving test months away, but can't wait until then. Did you know we can find those evasive driving test cancellations that you might not see as there are other learners beating you to it and changing their driving test. Short Notice Tests specialise in finding those hard to find driving test cancellations that you are looking for, sometimes referred to as a short notice driving test. When we find a driving test cancellation that fits in to your instructors schedule, we notify you by text as soon as our test cancellation finder team finds it. You then text back 'Yes' if you want it, or 'No' if you don't, it's that simple. We charge £30 and have been finding driving cancellations for 12 years now and pride ourselves in being the best company around to find earlier driving tests. Our customer service is the best and and the speed we find you a short notice test is fast, which you can read on our online reviews. We also do driving lessons if you have a driving test cancellation booking or if you want to learn how to drive. Approved by Learner Drivers all over the U.K Searching for Driving Test Cancellations. Save your valuable time and your sanity when trying to find those evasive earlier test cancellations that everyone wants. If your driving test booking is months away we can search and find test cancellation appointments for you then book and secure them. Short Notice Tests is a test cancellations service for the premium customer that really wants that extra level of service. If you are looking for a premium high quality driving test cancellation checker service without all the hassle that you will get from other driving test checkers or finders, then use us. Our driving test cancellation checker agency is 5 star rated for checking, finding, booking, changing and customer service. Short Notice Tests also have a 99% success rate in finding earlier test cancellation dates and times that you want. 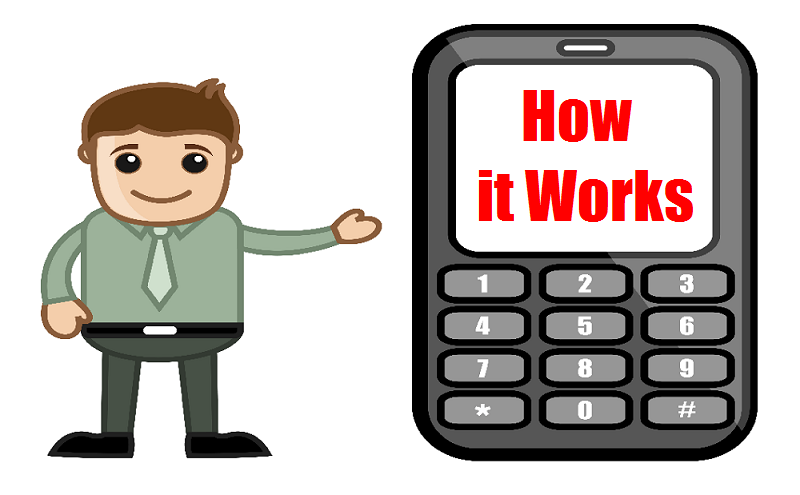 How it works - We can get you an early short notice driving test cancellation that you and your driving instructor are happy with and available to do. We book and change your DVSA cancellation date first then let you say 'Yes' or 'No'. If it's a 'No' we will carry on looking for cancellation dates until you say 'Yes'. Being the first driving test cancellation agency in the U.K to exist, we are the best service you can get to find your practical DVSA driving test cancellation. Please note you must have a driving test booking to get driving test cancellation dates from us. Save your valuable time and your sanity when trying to find out how to get an early driving test date, and let us do the finding for you. Are you looking for a driving test cancellation appointment at a non busy time after 10am? Or something before work between 7am and 9am? If so, we can help. Short Notice tests have been established for 12 years now and have a successfully found a quick driving test at U.K driving test centres for 1000's of learner drivers. Anyone looking for an earlier practical driving test knows what a waste of time it is sitting there all day searching for driving test cancellation dates, as driving cancellations that you want may not come up. Check out the driving test centres we find driving test cancellations at. We have a high success rate of finding driving test cancellation appointments as we check every second of the day and night, which means we don't miss out on cancellation dates that you have requested from us. Short Notice Tests the driving test cancellations finder agency is not affiliated with the Driver Vehicle Standards Agency (DVSA). You can try and look for free for a driving test cancellation right here. A cancellation appointment will come up if you have the time and patience to sit there all day and night, or simply book with us and let us do the searching on your behalf. Contact us on : 0208 500 3850 for further information on Driving Test Cancellations. We are open and searching for driving test cancellations from 9am to 11:40pm seven days a week. Don't be shy and get in touch with us for more information on using our services on how to get a driving test cancellation appointment. There is always someone friendly here to answer your call. We are highly recommended by driving schools in the U.K and have contracts with a number of driving instructors in the U.K that love our top level of service as each learner is at the top of our cancellation list to get a driving test cancellation appointment. We understand that you may be searching for a driving test cancellation and have had no luck in finding a cancellation date and may be very eager and need an earlier driving test quick, give us 1 - 3* days to find your early driving test cancellation date and see the fast results. Check our Genuine 5 Star Verified reviews left from learner drivers that have used our driving test cancellations agency to find an earlier driving test date. Why is Short Notice Tests better at finding driving test cancellations? We search and find driving test cancellations from 6am until 11:40pm at night. We don't make you download any driving test cancellation app as this only slows down the process of finding a driving test cancellation for all learners that use our service, after all we don't want you to run out of data when checking Facebook or Whatsapp. Simply receive a text on your phone about driving test cancellations, it's that simple. Time and time again we get calls from Learners' that have paid a very low price to our competitors for finding a driving test cancellation and all they got offered is driving test cancellations that are months away. "If you pay peanuts you will get monkeys". You're paying our 50 strong driving test cancellation finders to sit there and check for driving test cancellations to come up on your behalf every second of all day and night, and this can take up to 3 days*. What would you charge someone to sit there all day and and night for up to 7 days to find those elusive driving test cancellations? And if they failed would you get them a free one? Simply fill out our form and pay our £30 fee and wait for us to text you within 1 to 3 days*. Let us find you an earlier driving test cancellation date and rearrange your current booking to 1 or 2 weeks away. Driving test cancellation finding done Right First Time! If you have decided to book your driving test cancellation, have to hand your Provisional Driving Licence Number and Theory Certificate Number, if you don't have your Theory Certificate Number you can provide us with your Application Reference Number of the test that you have already booked with the DVSA. We will start to search for driving test cancellations for you straight away. Other sites may be offering unlimited driving cancellations once they find you a driving test cancellation, but what happens when 10 people fail and come back for driving test cancellations at the same test centre you want? Who do they offer the driving test cancellations to first? Do they offer cancellation appointments to the learners that have just paid them? Or will they offer it to you? We will let you think about that one. We put you on the top of our driving test cancellation list and work on a one to one basis with you. That's why we are the only premuim fast track driving test cancellations service out there that delivers earlier practical driving test cancellations.